Hero’s are what I’m gonna talk about first then maps and game play. Why are as a whole the hero’s still at a disadvantage compared to the villains and why do they still have some abilities that people don’t use. (boba fetts concussion rocket) is useless. Why can’t gradual damage be added to it. Like the damage that happens when you get it by a stinger pistol shot or stand in dioxis gas. He moves to slow the only way to regain health is by doing a slam and charging in only to have the health taken away again cause he can’t move out of the fray. Hansolo: his charge ability is pretty much useless can his charge ability be gotten rid of entirely, a auto turret like the hero nine nub had in 2015s battle front or a trip mine. Would work and would be more useful. Thea would be great considering the hero’s are not near as strong as the villains. Leia. Please Make her stun grenade better, how is it that the generic officer stun grenade is just as good as a hero’s? I’m loving the new hero’s that have arrived so far though. Aside from general grievous’s unrelenting advance. I think letting general grievous just temporarily use 4 light sabers would be a better ability than unrelenting advance. But other than that Nothing is wrong with them. The new heroes are great. 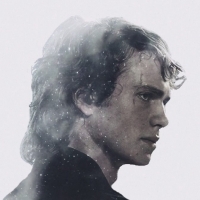 I’m really hoping that dice and ea will continue to support this game with more clonewars content after Anakin. I along with lots of the rest of the community are asking. Please. These hero’s would be great. Mace windu, Jango Fett ( but please have different Jett pack functions for Jango Fett if this is being considered than boba. we do not need two bobas flying around constantly ) then the duel pistol wielding Jett pack hero could be fun! Is there plans to convert over the old galactic assault and sabotage maps from battlefront 2015. This would be easier than making a bunch of new ones and fun to play on with the new clonewars hero’s. That would give us more maps and keep it very fresh. More clone wars please. Please keep these in mind the game is coming back please keep it up. 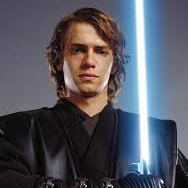 I think this game could still make money and do a lot for the starwars community but clonewars hero’s and maps and the old maps would be great and it is what we the community want. Any thoughts is any of this in the works if so. When will the new road map display the plan for the community to see.? I think they should remove all reference to the CW and PT from the game and then never speak of it again. XD OR give people the option to turn them off completely. As for future content: More OT/2015 maps. More ST maps. More Extraction, SFA, STRIKE, BLAST maps. New guns. These are the priority and I think the Devs know it. All of 2018 we've seen nothing but PT skins and maps. It's time to give the old guard some luvin', adding ST maps and content would also satisfy the new guard. Totally agree maps would be great and some new guns if each class even just got 2 new guns that were different it would change up the game. But the current hero problems being fixed I mentioned and new hero content along with new clone wars maps could keep the game going. Hopefully they will port over the old walker assault and sabotage maps from 2015 just to add a bigger variety as those maps were well made. They could port the old hero v Villian and blast maps as well they would just be older maps. Prequels is all they have left to create content for......unless they bring back a bunch of the 2015 Battlefront I content, which I'm fine with! Sequels have nothing left to show except Hux and Poe as characters......Disney's fault! All maps and most character that we don't have for OT trilogy now were already done in Battlefront I. Except K2S0 & IG-88. Those are two new characters that neither game has done and could be great new content to the game. 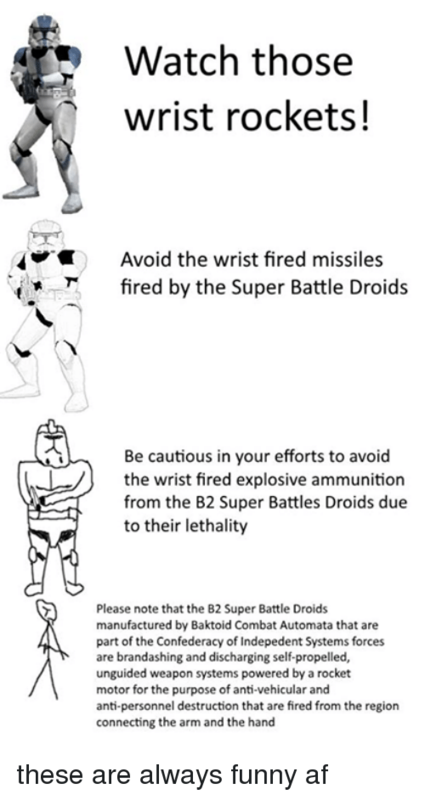 Also the game needs more droids. This battlefront game feels lacking in the Star Wars universe because there aren't as many droids as the previous one or as seen in the movies and these two characters could help.............MORE DROIDS! I want more Prequel Content (Droidekas, Magnaguards, Utapau...). Yeah I think they need more medium size game maps from prequel era, so that they can focus on giving us different content. Medium size to me is like DeathStar 2, StarKiller base, Naboo, Hoth. Whereas Large scale maps are Yavin 4, Kamino, Kashyyk, Geonosis. Just because of the scale of the maps and all the details that where put into them. This game needs to move away from the PT for a few months. Aside from getting stale, the way they drip fed barely anything has left a bad taste. 4 heroes, skins datamined at launch and a map that doesn't play well is comical. If this is how EA defines live service, I'd prefer the dlc model. They should alternate eras every 3 months. I’m very for them just porting over all the old maps from walker assault and strike and hero v villains from battlefront 2015 into this game wouldn’t be hard for them to do. And it would prevent dry spells while they work on new content I’m hoping they start to do this already. And the Jedi temple. Like When grevious kid napped the chanselor right before episode three. Also I agree a map on utapau would be a medium map. 3 phases. I’d like a utapau map too. Throwing this out there remember umbara from the clone wars tv series that might be a cool map but do that last cause corusant and utapau are more memorable. I agree k2s0. If they do a non clonewars hero K2so could be cool. When are they gonna release the sentinels reinforcements though?? They could be cool just don’t know what you’d call them. Please dice this game is awesome. It just needs more love. Please dice listen to the community. Keep it up. 👍 the last 4 months are bringing people back to the game. They don’t need to alternate eras. More people want clone wars than anything! Remember Kessel it was the crappiest dlc ever!! No one cares about the new eras Disney didn’t do good with those stories or characters!! I think a lot of clone wars is a good thing but original trilogy needs some attention aswell. Eg hero skins (darth vader,palatine, bossk,luke) and stormtrooper skins. More clone wars is what new content we need. All of 2018, really? Bespin, Kessel, and Jabba's Palace are PT now? Ewok Hunt is PT? Hoth Luke, Leia, and Han and Endor Han and Leia are PT? Chewie, Han, and Lando skins and the Lando Falcon from the Solo movie are PT? Boushh Leia is PT? 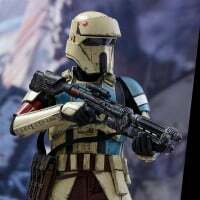 PT content didn't start until more than halfway into 2018 when they started adding the Clone Skins, and even after months of PT updates there is still less total PT content in the game than OT and ST content. Lol. Not for the masses though. Disney has really **** up. If they followed the sequel trilogy that George Lucas already wrote and planned out in his books. It would of been better the sequel trilogy is like a 3 or 4 out of 10 compared to the original and prequels as far as content and worlds and battles and everything. How will switching era's prevent them from drip feeding us stuff still? They're just going to do the samething with whatever content they are going to give us next not matter the era. Unless they listen to the community this post alone has brought some good ideas and points that hopefully dice will use. But it’s not dice fault it’s the partnership they have with ea now. Has to be. Because 2015 battlefront was more involved with the community. Read the Mace Windu posts I’m not the only one who wants him and Jango Fett In The game. We nearly have everything from the OT and ST. The PT is where the content lies. There are soo much we have not got from that period of the movies and series. The Star Wars galaxy is vast, with an array of locations, alien species, factions, time-lines, vehicles, ships and weapons. We’re not even close to having everything from the OT. We can’t have it all, we want it all but that’s a 10 year commitment from a games developer and let’s be real, we might not see the end of the year. Hahaha. No. Lol. Not even close. We need more Clone Wars before anything else this year. Heroes : Mace Windu, Qui-Gon Jinn, Padmé, Ahsoka, Asajj Ventress, Jango Fett or Cad Bane. Maybe to balance it they can reuse 2015s villains. Also need Droideka, IG-100 MagnaGuard, BX-series droid commando for separatists. Hud transparency slider for night maps. 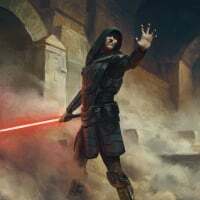 >Darth Malagus and Satele Shan - Any popular Old republic map. 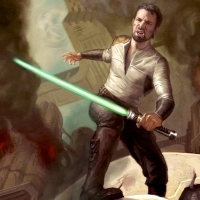 > Galen Marek and Kyle Katarn - Any map, Mustafar maybe. Then they can start porting 2015s maps, and by 2020 they can start developing BF3 for the next gen. I agree more clone wars is a must but kai 07 I only agree with half of what you said most people aren’t aware of the old republic lore even. So that won’t work. Clone wars just. But yea import the old stuff from 2015 battle front with new clone wars stuff and we’ll be set. Let me correct myself. We have enough OT as it is right now, in my opnion. The ST is similar to the OT and therefore fills a lot more than the clone wars. Right now we need more clone wars content because it contains a large scale of details we haven't seen in any other game since battlefront 2005. 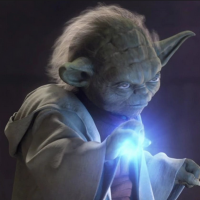 Very well said yodamain. I very much agree with this statement.